Renault plans to sell another small SUV alongside the Captur, shown. VALLADOLID, Spain -- Renault will add a second subcompact SUV that will be sold alongside the Captur starting in 2019. 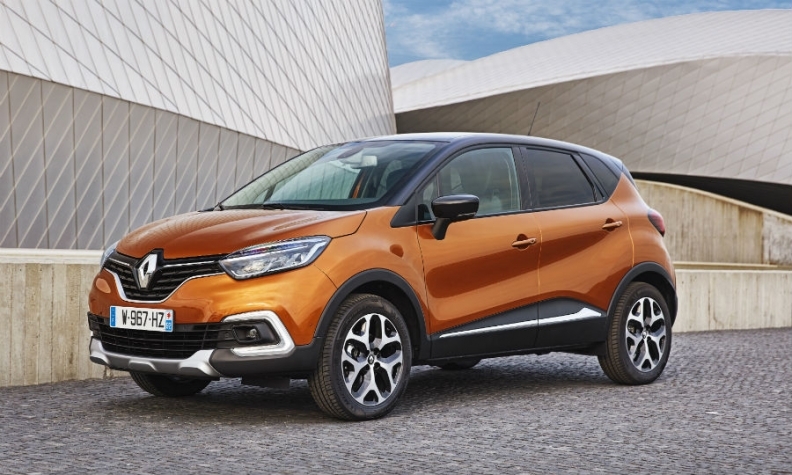 The model will be built on the same line as the Captur at Renault’s factory in Valladolid, Spain, plant director Rafael Vazquez told Automotive News Europe at a press event. Renault said last year that it plans to it invest more than 600 million euros in Spain to build a new car at Valladolid, along with a new variant of its 1.5-liter diesel engine in the adjoining engine plant, with a new aluminum engine block casting facility. It gave no other details at the time. Vazquez said some of the investment would be to increase the size of the assembly line. However, he expects the plant’s annual production to remain close to its current output of about 250,000 a year, suggesting the new model will take some Captur sales. The plant also makes the Twizy, a four-wheel, scooter-style electric model. The Captur was Europe’s best-selling small SUV in the first half with a volume of 112,586, according to market researchers JATO Dynamics. Segment sales have grown to more than 1 million units a year as more automakers joined early adopters such as Renault and Nissan. By introducing a second model, Renault would follow Opel/Vauxhall, which sells both the Mokka X and the new Crossland X in the segment. Citroen, Seat, Hyundai and Kia are among automakers launching new small SUVs.